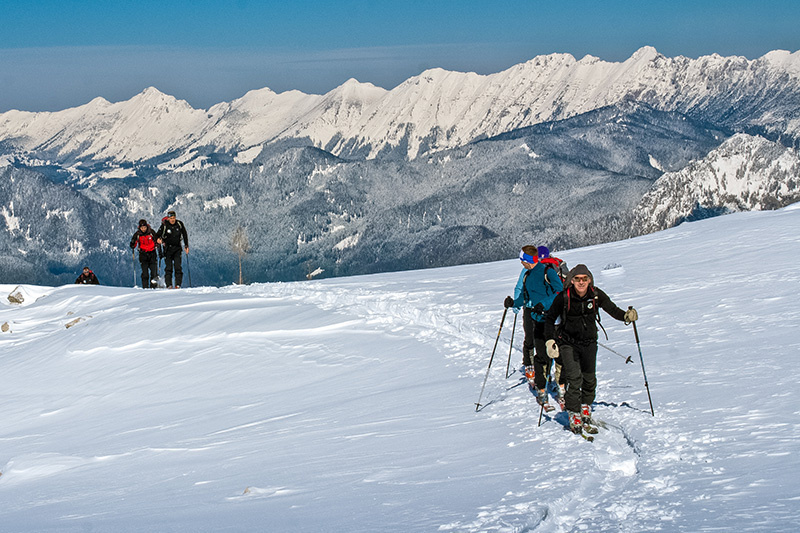 Ski mountaineering is a winter sport which plays a special role among mountaineers in Jezersko. It has been nourished here for decades and can be especially enjoyable in snowy winters and springs, when ascents on skies up the mountain slopes and spirited descents on sheltered powder snow fields present unforgettable experiences. Come and enjoy!